Cochran’s departure opens up another Senate election in Mississippi in addition to incumbent Sen. Roger Wicker’s reelection bid. 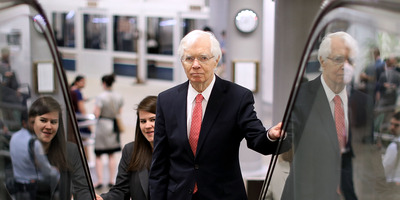 Cochran’s health issues have been prevalent for some time. Last year, there were concerns he would not be present to vote for the Republican tax overhaul in December. Months prior, Cochran told CNN “it’s up for the people to decide” if he is mentally and physically capable of carrying out his Senate duties. “I think I am,” he added. “Senator Cochran departs with our congratulations and gratitude for so many years of honorable and distinguished service, from his time as a Navy officer to nearly four decades in the Senate, and our warmest wishes for his retirement,” McConnell said. “My hope is by making this announcement now, a smooth transition can be ensured so their voice will continue to be heard in Washington, D.C. My efforts, and those of my staff, to assist them will continue and transfer to my successor,” Cochran said in the statement.